When you’re visiting a new area, it can be helpful to plan ahead of time a few activities that you can enjoy, especially when travelling with your family. You might be thinking, “It’s a vacation! I don’t want to have my free time dictated by a schedule!” Well, you don’t have to be a Type-A, hyper-organized person to enjoy some of the benefits of a few pre-planned outings, especially if you have young children traveling with you. In order to help you with a vacation to Raleigh, North Carolina, we here at Motor-Boatin LL have come up with a few family activities in the area that we feel are family friendly for all types and ages! Raleigh is host to some great museums that are wonderful for active and noisy children. The Marbles Kids Museum is built to entertain, encourage, and educate your children while the adults in the family can access their inner child for a few hours! With lots of space and plenty of exhibits at this museum, your kids will enjoy the ability to learn about the world around them in a kid-friendly way. There are also loads of kid-friendly restaurants and other exhibits that are catered to families of all ages. If you want to spend some time outdoors, there are tons of fun parks, hiking trails, and water activities that you can take part in. In Raleigh, there are over 5,500 acres of trails, which are accessible to not just hikers, but bikers and horseback riders, as well. Once you decide it’s time to cool off, you’ll have several options of lakes where you can take a swim and enjoy some bass fishing! 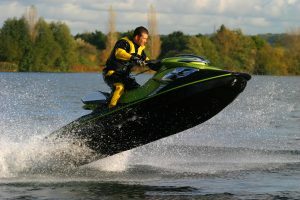 At Motor-Boatin LLC, we have jet skis, boats, bass boats, pontoons, and many other watercraft that are available to rent for one day or several. With all the family activities available near Raleigh, North Carolina, you won’t want to go home! 1. Include a friend or two. 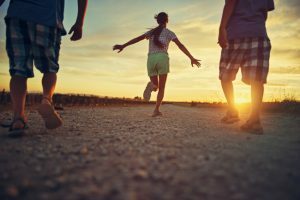 Not only will your kids enjoy having their friends along, you’ll beef up their popularity rating when word gets out what a great time they had. If your kids are familiar with the boat safety rules, let them instruct their friends, which makes them feel important. 2. Bring a fishing rod. There are some adorable kids’ fishing rods on the market today that are decent quality. Some kids will love to bait the hook, while others might shy away from it, but they’ll all feel great when they catch their first fish. 3. Put them in charge of music. Putting a kid in charge of choosing songs from a playlist is a great way to involve them in the family activities. They are entertained, and you get to enjoy the music. Sure, you could set it up to play randomly, but they will love being in charge. 4. Take a couple of toys. You might not want to take a chance with expensive electronics on the boat, but that doesn’t mean they can’t take a few cheaper things to entertain them. Consider such options as coloring books, playdough or a remote-control boat. Family activities on the lake are great fun, and here at Motor-Boatin LLC, we can help make that possible. Our boat rentals are easy to arrange with 24-hour online booking services. 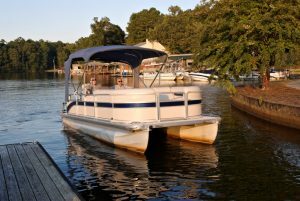 We offer different types of boats, including motorboats, bass boats, pontoon boats, and more. Call us if you have any questions.